KUALA LUMPUR (Dec 30): Anyone shopping for rice in Malaysia's supermarkets will find a bountiful array of nearly two dozen brands and varieties on the shelves, both locally grown and imported. But most of these are actually produced or marketed by firms linked to one company - Padiberas Nasional, or Bernas, the national rice agency. Bernas' monopoly over the country's rice supply has become a hot-button issue among some farmers in the upcoming general election, after some of them in October complained to the government about alleged unfair trade practices committed by the billion-ringgit company which is controlled by politically connected tycoon Syed Mokhtar al-Bukhary. "Paddy farmers and staple commodities issues are very sensitive issues, especially for the rural vote bank in the Malay heartland," said Mr Amir Fareed Rahim, a political analyst at KRA Group. In its earlier incarnation in 1971 as Malaysia's state-run rice board, Bernas was tasked with maintaining adequate rice supplies, keeping prices fair and stable for farmers and consumers, and improving the industry. It continued to shoulder these obligations after it was privatised in 1996 and became a for-profit company. Two decades later, however, farmers are up in arms over Bernas' alleged failure to protect and promote the local industry, by favouring cheaper imported rice to bump up its own profits. "All we want is harmony in the industry and to let others know Bernas is not protecting us," said Mr Muhammad Rafirdaus Abu Bakar, co-chair of Padi Rescue, a non-governmental organisation that represents a group of farmers, rice millers and warehouses. The rice war is not just a tale of farmers versus a big corporation. Rural voters - 400,000 farmers, with nearly 300,000 of them planting paddy - form 11.2 per cent of the country's registered voters and have traditionally supported the ruling Barisan Nasional (BN) coalition. Many live in the states of Kedah, Perlis and Perak. Padi Rescue submitted a memorandum to the Prime Minister's Office in October calling for an end to Bernas' management of the country's rice supply, which includes the sole right to import rice until 2021. Among its complaints is that deduction rates - the portion of product that is rejected for impurities - have risen, which means farmers get a lower payout for their harvest. The group also claims Bernas has increased imports of cheap low-grade rice and caused small-scale rice millers to shut down by monopolising the rice production chain. Bernas has denied the allegations by Padi Rescue, and issued a lawyer's letter to the group demanding that it stops such defamatory statements or face legal action. Bernas told The Straits Times that it purchases only around 30 per cent of the total paddy produced in the country, with the rest processed by other rice millers. Denying claims that it is a monopoly, it added that it has not sought to sideline locally produced rice and that its nationwide deduction rate of 23.6 per cent was far lower than alleged by Padi Rescue. Mr Rafirdaus has cast doubt over the grading system, reasoning that although improved technology has brought about higher-quality crops, deduction rates have not decreased. 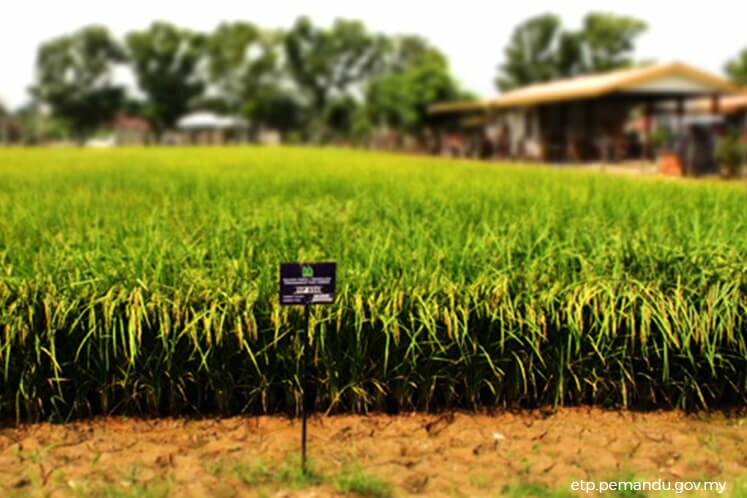 As part of its social obligations, Bernas is required to act as the buyer of last resort for locally grown paddy. "At times, we have purchased rejected paddy of zero commercial value from farmers," Bernas told The Straits Times. The crux of the farmers' grouses is that Bernas prioritises its profits over its social responsibilities. They point to its ties with various companies in the rice production chain, and control over duty-free rice imports with cheaper options from Thailand, Vietnam and Pakistan. Malaysia produces about 2 million tonnes of rice annually, which is not enough to meet its own estimated annual consumption of 3 million tonnes. In 2016, it spent US$377.4 million (S$515 million) on 822,000 tonnes of rice to meet the shortfall, making it the 14th-largest rice importer globally. The paddy farmers, however, question why the government is not pushing for higher rice production at home, instead preferring to have imports fill the gap. Padi Rescue has also alleged that Bernas has not helped farmers and millers to improve their lives economically, preferring instead to focus on maximising its own profits. Bernas said it has been fulfilling its role to assist farmers and millers by providing financial loans and aid schemes for millers. Its profits were justified, it said, as they were ploughed back to fund these programmes. "It is a critical issue for BN to try to resolve, especially since Kedah - the country's rice bowl - is a swing state and one of the battlefronts in the upcoming election," said Mr Amir. "Silence without attempting to resolve it will be very dangerous." So far, it is the opposition parties which have stepped in to back the paddy farmers, by issuing their own petition in November urging Putrajaya to direct Bernas to drop its threatened legal action against Padi Rescue, and calling for the National Rice Board to be reinstated.